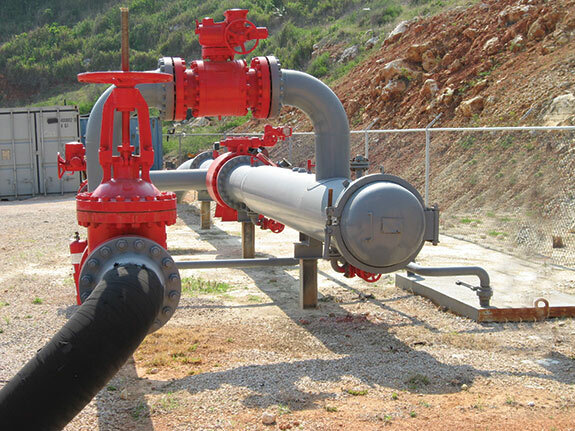 "Asset Integrity Management: Avoiding the cost of failure"
A comprehensive pigging program requires accurate information about the pipeline. It needs to include the good, the bad and the ugly. Without a clear understanding of the challenges and anomalies within the pipeline there are going to be issues, whether that is a stuck pig or unexpected corrosion that leads to failure. Having a clear picture of the circumstances within a system is the core of a pigging programme. The worth of developing the right pigging programme can be assessed by considering the cost of failure. 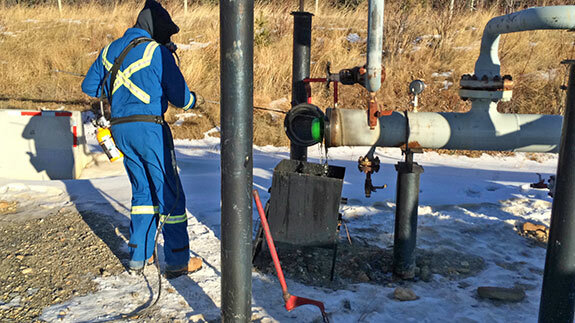 “You have to do the detective work to develop the right pigging programme for that pipe,” said Bob Lotwin of Pipetech, a company formed to serve the oil and gas industry in western Canada in the 1980s. Since then the company has advanced technology, developed a wide range of products and served clients around the world. As a result of decades of developing specific solutions for their clients’ unique challenges, Pipetech is constantly evolving a wide range of high-quality pigging products to ensure effective corrosion control. But a successful pigging program includes more than the right equipment, it also requires the right expertise and more than a little detective work. It’s important to ask the right questions at the beginning of the process, identify the anomalies up front and properly prioritise the risks and challenges. “The asset owner has to be willing to honestly share the challenges in a pipeline” say Lotwin. “We have had situations where the asset owner has blown off a question as not important or irrelevant and they ended up with stuck or broken pigs. That’s just a different kind of failure. It might not come with bad media, but it’s still expensive to clean up”. Pigging is an asset owner’s first line of defence against internal corrosion, but it’s also an important part of the chemical programme. Pipetech pioneered the process of using pigs in conjunction with chemicals to effectively control corrosion in pipelines. It is a highly individualised program that optimises chemical inhibitors while maintaining effective corrosion control. In-line inspection provides comprehensive analysis and is a valuable tool for pipeline operators. The success of any inspection program starts with the cleanliness of the line. You could stick a very expensive piece of equipment, or damage it in a pipeline. Success of an in-line inspection run is defined in terms of the quality of the data, time and costs involved. It only makes sense to make sure your lines are as clean as possible. Sometimes that means adding some additional steps to your normal pigging programme. When it comes to non-metallic pipelines, there is a common misconception in the pipeline industry that they do not need pigging because they don’t corrode. 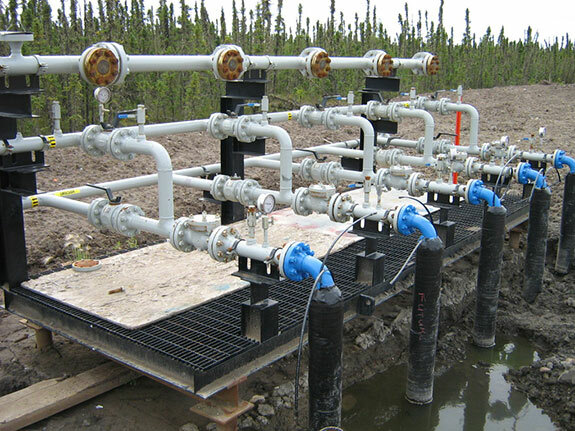 However, solids and liquids can and do build up in non-metallic pipelines reducing flow and increasing pressure. 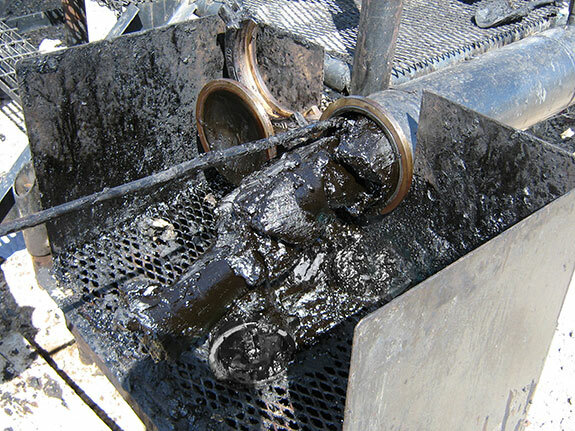 Non-metallic pipelines absolutely need pigging to maintain the pipeline’s integrity and the company’s profitability. Optimised performance and improved safety are the cornerstones of any integrity management programme. A pigging program that deals with the deficiencies of a pipeline ensure the safety, profitability and integrity of the pipeline continues to be an economical component of that programme.